How many substances are there in the world you can eat, wear, and smoke? Not many, that's for sure. But hemp is one of them. As of the time I wrote this post, I've done exactly two out of the three. That's right, I've never smoked weed. Not that I'm judging you if you have. But I used to wear a hemp necklace made by a friend, because I liked the hippie look...and just recently, I started eating a bag of hemp seed from TJ's. To be fair, I think the smokin' kind of hemp comes from a different variety of cannabis plant, but still, that's one multi-talented weed. At $5.49 per package, it's not cheap. You could probably buy an ounce or two of the smokable stuff for that price. 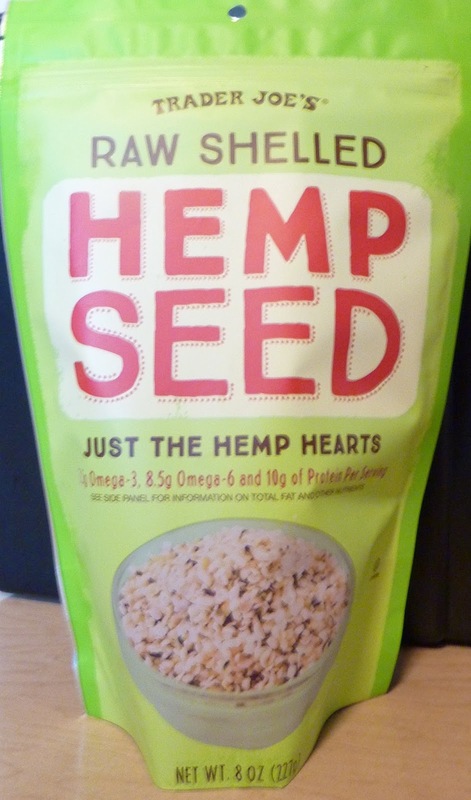 Well, not quite...but still these hemp hearts are pricey little devils. We probably wouldn't have checked them out if it weren't for the fact that they were Spotted on Shelves last week and our ever-present desire to please our loyal readers. Russ, Sandy, Sonia, and I would try anything for you guys. If you don't believe us, just stay tuned for even more outrageous products this week. But back to the hemp seed. It's nutty. Tastes like other seeds I've had...unsalted sunflower, in particular, but perhaps a bit more planty—a bit more "green," if you will. The texture is softer than a normal seed. It's almost like a cross between a sprout and a seed. And they're very, very tiny—about the size of an average bread crumb. Holding a handful, they kind of feel like silky, supple grains of sand. seeds in your yogurt, then maybe it's worth trying with hemp seeds, but I personally would stick to salads and hummus and more savory foods when it comes to mixing in hemp hearts. 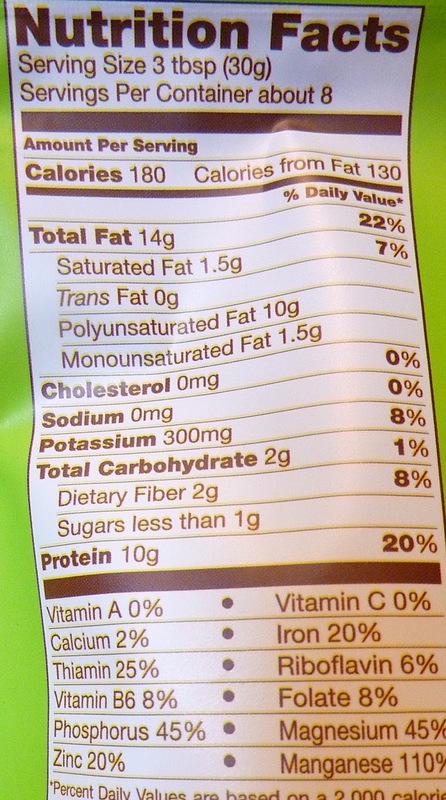 They're healthy little buggers, with boatloads of omega 6 and protein in each serving, but be warned, they're chock full of fat, too. I'm pretty sure it's "good fat," and as one reader pointed out, carbs tend to make people fat more than fat itself does. They're very natural, with only one single solitary ingredient: raw shelled hemp seed. All in all, not a bad investment for adventurous eaters and health nuts. Have some floss on stand-by, because they do get stuck between one's teeth quite readily. 3 from me. 3.5 from Sonia. I use these in oatmeal muffins, and in protein smoothies (protein powder, bananas and peanut butter).... add extra vitamins with no change to taste or texture. me and my pet parrot love it. 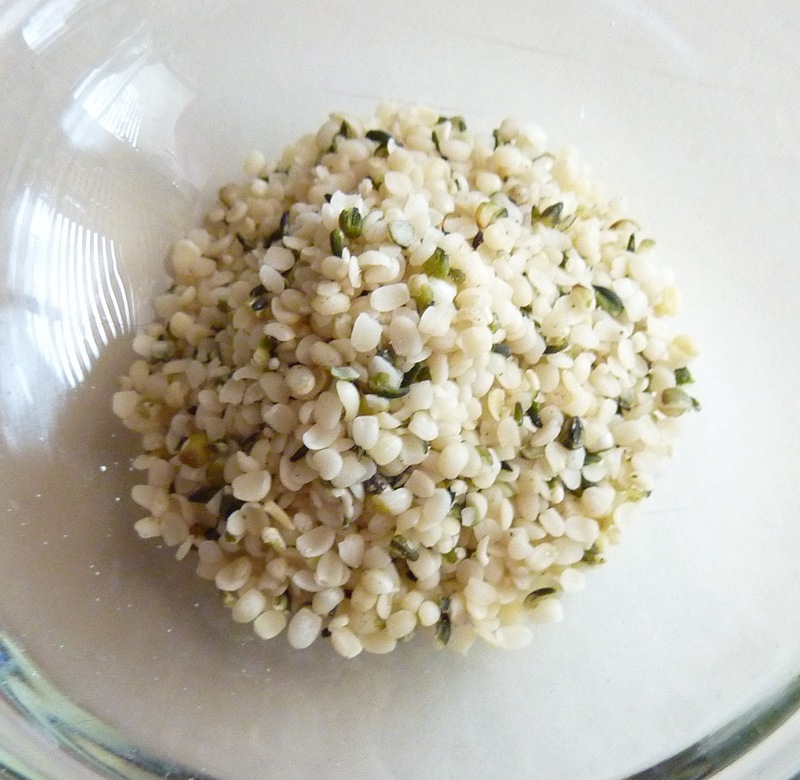 I love hemp seeds in my smoothies, plus it's loaded with protein. I highly recommend it!